Avatar, customer persona, profiling, target group, they all refer to the same thing – your target customer. 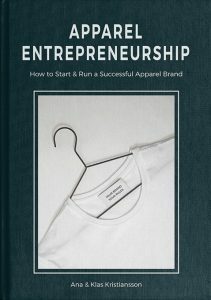 By identifying your target customer for your apparel brand, it will be easier to design, strategize your segments and develop an effective marketing plan. A customer profile is a detailed description of your ideal customer. You can have one or several profiles, but you should never have more than 3. If you have too many you lose focus. But bear in mind, a customer profile is actually a “group” of people, a generalization and not an actual description of each and every one of your customers. How can you sell to your customers if you don’t know them? The goal is to know exactly who your customer is, what they do, where they live, how they shop etc. The better you know your customers, the more effectively you’ll be able to reach them and give them what they want. This information will help you in your range planning, in the product design and development phase and in your marketing and sales pitches. The thing is, with the right customer profile you won’t need to pitch that hard, you will know exactly what your customers want and give it to them. Everybody in the company should know exactly who these “people” are, in order to speak the same “language” in all departments of your apparel business. Demographical, Psychological and Beneficial info. What social networks do they prefer? Where do they consume their news? What would make your customers recommend your brand to their friends? 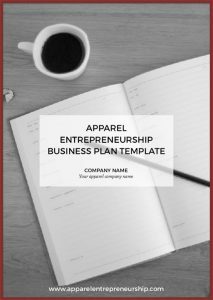 To sum this post up: if you want a successful apparel business, you need to have a clear customer profiling. There is no right or wrong way of doing it and your customer profiling will be completely unique, based on your mission, values, and your business goals. These documents should be alive and change along the way, together with your business. You will have to adapt to the market and tweak and make iterations along the way. Have these profiles printed out and visual somewhere on a board. Go back to them often, whenever you introduce a new product, or segment, create a marketing campaign, or a sales presentation. These will make certain decisions easier during your entrepreneurial path. You can find a fillable customer profile template in the Member Zone.